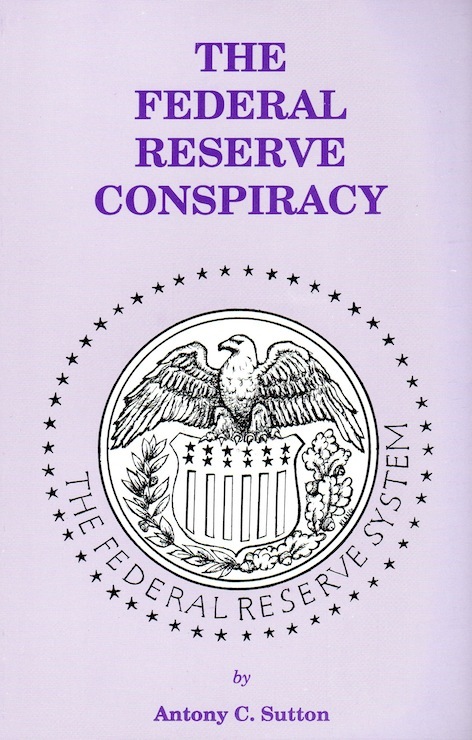 THE FEDERAL RESERVE CONSPIRACY details the events that led up to passage of the Federal Reserve Act of 1913 - and the many decades of work and secret planning, that private bankers had invested to obtain their money monopoly. This book explains how this money monopoly came about. Obviously, Congress and the general public were misled and lied to when the Federal Reserve Bank was in discussion. Fed has a legal monopoly of money granted by Congress in 1913 proceedings that were unconstitutional and fraudulent. Most of Congress had no idea of the contents of the Federal Reserve Bill signed by President Woodrow Wilson who was in debt to Wall Street. The Federal Reserve has been given the power to create money. This money is fiction, created out of nothing. This can be money in the form of created credit through the discount window at which other banks borrow at the discount rate of interest or it can be notes printed by the Treasury and sold to the Fed and paid for by Fed-created funds. In brief, this private group of bankers has a money machine monopoly. This monopoly is uncontrolled by anyone and is guaranteed profit. Further, the monopoly doesn't have to answer questions or produce books or file annual statements. It is an unrestricted money monopoly.